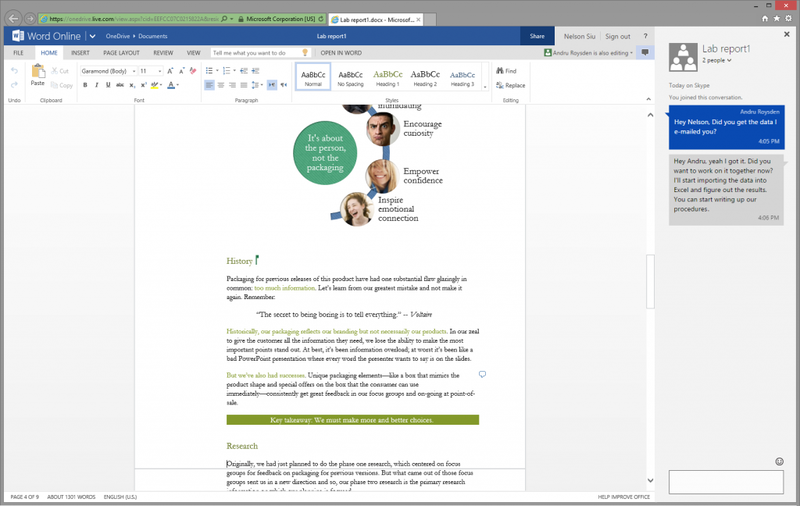 If you've been dying to hold group chats while working on collaborative Word and PowerPoint documents inside Office Online, the feature is now live. Following Microsoft's announcement in late November that Skype-powered group chat was coming, Skype recently rolled out the functionality to Office Online. When two or more people are working on the same document, a chat button will appear, allowing you to communicate with your collaborators. 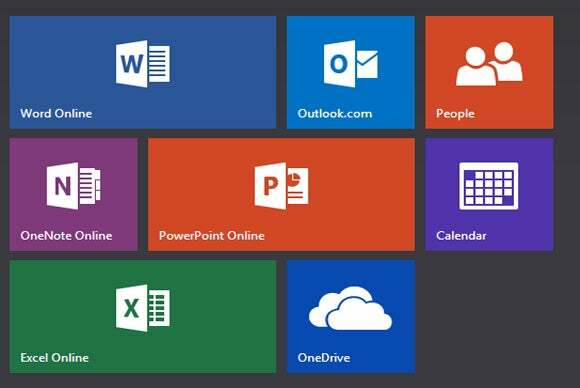 The new feature is not yet available in Excel or OneNote Online. The impact on you at home: Being able to chat with other collaborators in Office Online was a tricky business before the new Skype feature rolled out. Previously, you could only chat with one other person using a roundabout method we documented in our look at Office Online collaboration feature. The addition of Skype will make online collaboration much easier with Microsoft's web apps. The new Skype-powered Office online chat feature. Once you've started a chat in Office Online it is named after the document. If you were working on a PowerPoint presentation called "Budget 2015," for example, the chat would have the same name and be saved to your recent conversations list in Skype. That allows you to close your Office document and open Skype on the desktop, mobile device, or the Windows Store app and continue the conversation. While you're chatting in the browser you only have the option for IM. For video or voice chats you'll have to switch to one of the Skype apps. That may change, however, once Skype for Web is ready for prime time. The one outstanding question we had is whether two people could chat inside the same document even if they weren't Skype contacts—a previous limitation. The answer is yes: You can chat with anyone inside an Office online document even if they don't have a Skype account. Google offers a similar feature when collaborating on Drive documents. The one limitation is that it appears latecomers won't have access to the chat history so they won't be able to catch up with other team members by reviewing previously discussed subjects. Nevertheless, the new Skype-powered group chat for Office Online documents is a great start, and over time it should only get better.